There has been growing concern about Thailand's ability to manage its rapidly growing number of visitors. A Thai beach made famous by the 2000 Leonardo DiCaprio movie "The Beach" will stay closed indefinitely to give its ecosystem time to recover, authorities said on Tuesday. 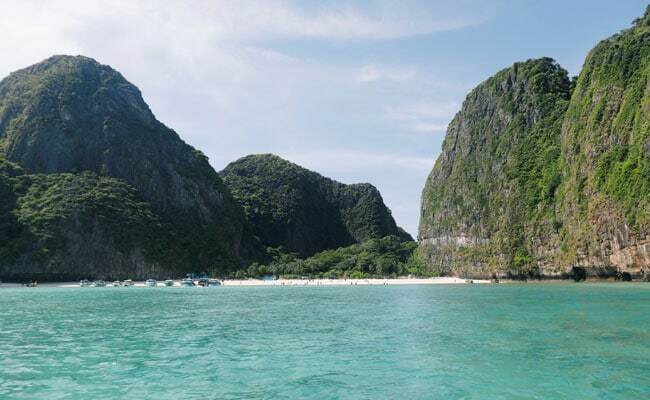 Maya Bay, on Phi Phi Leh island in the Andaman Sea, was closed for four months on June 1 in a bid to salvage the area's coral reefs, which have been damaged by warmer temperatures and a flood of tourists. "Four months' closure was not enough," Songtham Sukswang, the director of the Office of National Parks, told Reuters. "We need at least a year or even up to two years or maybe more for the environment to recover - this include the coral reefs, mangrove, and the beach," Songtham said. Tourism makes up about 12 percent of Thailand's economy, but there has been growing concern about the country's ability to manage its rapidly growing number of visitors.